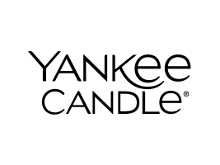 All 20 Yankee Candle promo codes have been verified and tested today! When you sign up for emails, you get in on a 10% off Yankee Candle coupon towards your first order. Plus, you’ll be the first to know about other promotions, new products, and latest news. Please note: 10% off Yankee Candle coupon can only be used on full price purchases of $25 or greater. This promotion cannot be used in addition to a gift card. Snag free shipping when your order exceeds $100! That’s right, no Yankee Candle coupon code necessary. All you have to do is shop for some awesome products and once your order hits $100 the free shipping will be automatically applied. So what are you waiting for? Start making your home cozier. So you’re down on your luck and haven’t found a Yankee Candle promo? It’s all good. One of the easiest ways to save money is to simply shop sale. The website has a wide variety of candles on sale so there’s something for everyone! It’s all waiting for you over at Yankee Candle. Have an issue that needs to be resolved? You have several resources to choose from. First, be sure to check the frequently asked questions page for issues concerning personalization and clearing your browser. There are also links with information on how to make an order, gift card questions, reward vouchers, sales tax, returns/exchanges, special offers and coupons, payment issues, The Yankee Candle guarantees, safety tips, and so much more. If you’re still having trouble, no worries, reach out to a Yankee Candle customer associate by email, mail, or phone. Customer service is available Monday-Friday from 8 a.m.-11 p.m. as well as on Saturday and Sunday from 9 a.m. – 9 p.m.
Offer valid on small classic jar candles. So you’ve found yourself a Yankee Candle promo code and you’ve got the best scents all ready to go? That’s it! Now all you have to do is wait for your candles to arrive so you can start relaxing in a fragrant home. Shopping for a good friend, but not sure what candle or accessory he or she may want? Have no fear! Yankee Candle has options for you. You can always shop personalized, beautifully crafted gift sets put together by the professionals. Whether you’re shopping for a bridal shower, birthday, or house warming gift, Yankee Candle has the perfect gift. You can also skip the stress and give a gift card. Giving a gift card allows your friends to get exactly what they want. You can choose from a personalized e-gift card or a corporate gift card. When you purchase a personalized e-gift card, you can choose a design and leave a sweet message. Then the gift card will be sent to your friend’s email inbox. So what are you waiting for? Start treating your friends and maybe treat yourself too!